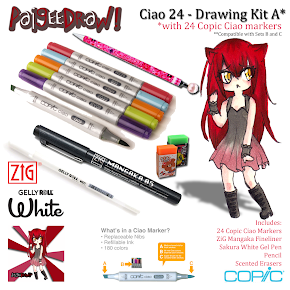 PaigeeDraw: Mepxy Brush Markers - Now Available at PaigeeDraw! Mepxy Brush Markers - Now Available at PaigeeDraw! 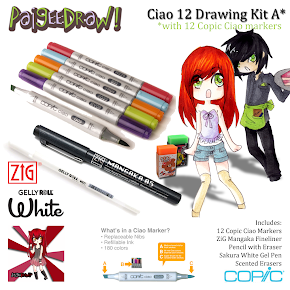 Another new Marker Line has now been added to the PaigeeDraw Online Store! Mepxy Markers are now available! 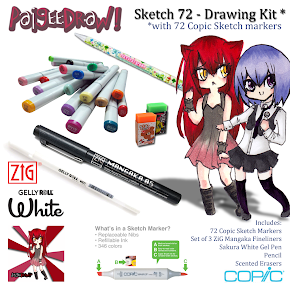 PaigeeDraw wants to be the #1 Store for Drawing Manga in 2012! 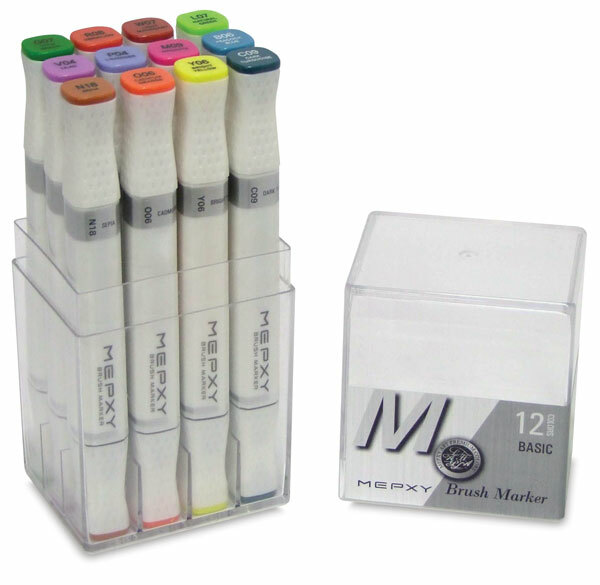 Mepxy Markers are new to Canada and the United States this year. PaigeeDraw is proud to be one of the first places to have them in North America! Twin Tip markers - Brush and Chisel. Fast drying, alcohol based markers that are ideal for a wide variet of uses. 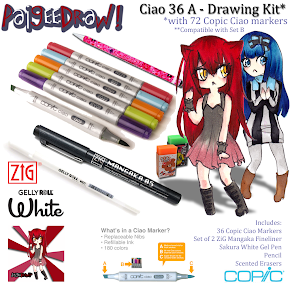 They are excellent markers for Manga and Scrapbooking! Mepxy Markers come in 110+ colors and counting! Sets are available in 12, 24, 36 and 60 pieces! 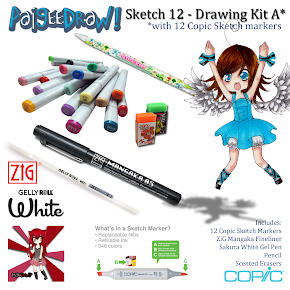 Please check out the PaigeeDraw Online Store for the Best Prices on Mexpy Markers! Happy New Year from PaigeeDraw!!! facebook - PaigeeDraw - Join the Community! 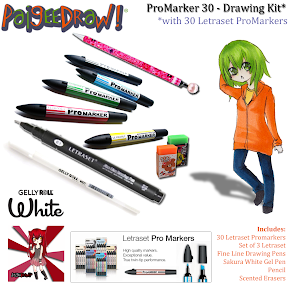 Letraset Markers - Now Available at PaigeeDraw! 2011, Paigee Draw Inc.. Simple theme. Powered by Blogger.